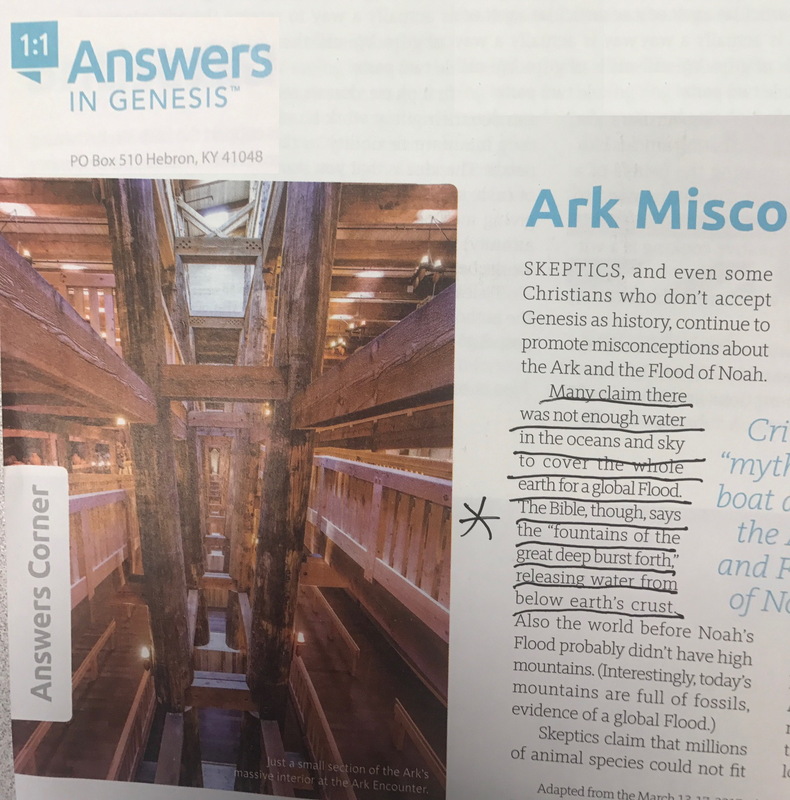 * AiG March 2017 Update: We're excited that Answers in Genesis has published the claim that the water for the flood may have come from beneath the crust! To better understand this issue, we suggest that you keep reading, but if you must, feel free to skip below to the AiG update! * "Crossover Depth" Falsifies CPT & AiG Animation: Below 220 miles, called the "crossover depth", melted rock greatly compresses and so would not rise but sink. So aside from the biblical error of claiming that the fountains of the great deep were not water but magma, a physics error is that CPT has the magma impossibly rising through 1,800 miles of mantle up to the crust. This and many other powerful scientific observations falsify catastrophic plate tectonics, AiG's animation, and also plate tectonics. 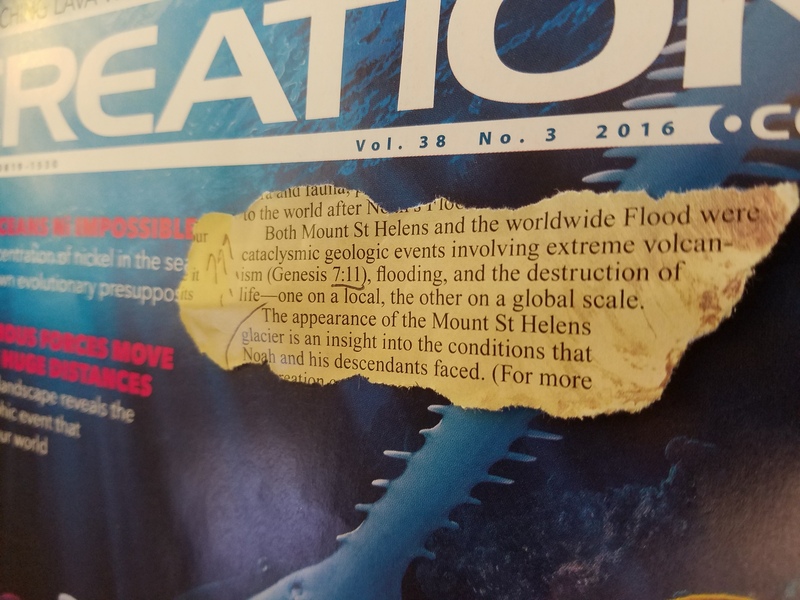 (Just like the public hears very little about dinosaur soft tissue, because it exposes the falsity of old-earth paleontology, so too, the public hears little about the crossover depth, because it exposes the falsity of plate tectonics. See also rsr.org/flood and rsr.org/albright.) Consider further, the magma just beneath the mantle is approximately double the density of the mantle's solid rock that is sitting just inches above the liquid outer core. "Many claim there was not enough water in the oceans and sky to cover the whole earth for a global Flood. The Bible, though, says the "fountains of the great deep burst forth," releasing water from below earth's crust." 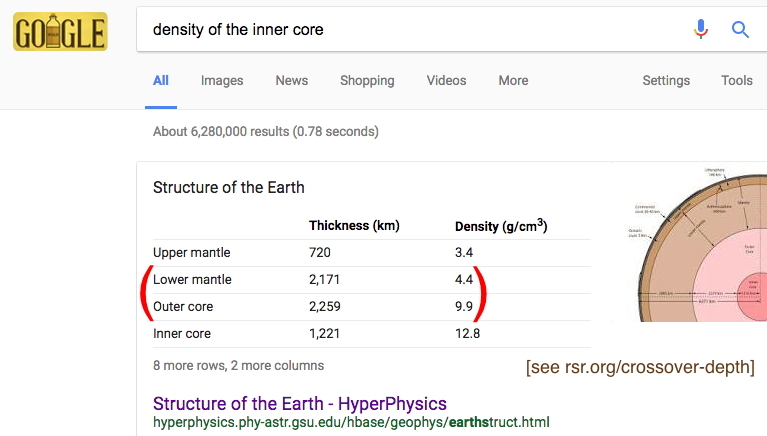 In RSR's Global Flood video we claimed that only the Hydroplate Theory can answer the question: Where did the water come from? For in our programs rsr.org/where-did-the-water-come-from and rsr.org/where-did-the-water-go we identified what we interpreted as an admission from the AiG/ICR/CMI Catastrophic Plate Tectonics (CPT) camp that their global flood model has no way of adding to the Earth's surface significant quantities of additional water. We have further observed that wherever the water actually came from resolves the question of which flood model is valid. If the water came from above the atmosphere, then the Vapor Canopy Theory, rsr.org/vct, is correct. If no appreciable amount of water was added to the earth for the global flood, and instead the oceans were redistributed covering the mountains, then Catastrophic Plate Tectonics, rsr.org/cpt, is correct. 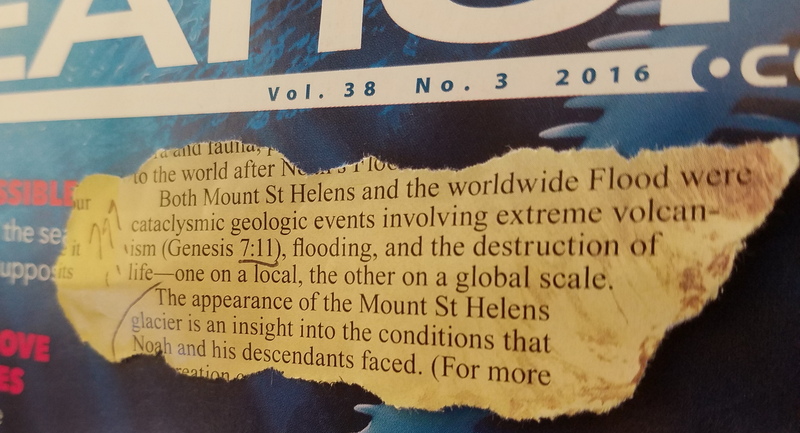 If on the other hand, the Bible text is correctly understood most literally, and the water for the Flood came from when the fountains of the great deep burst forth" from beneath the crust, then Dr. Walt Brown's Hydroplate Theory is the correct flood model. Selah. - Historical "science" is not science. Historically, creationists backed into this position regarding the "Demarcation Problem" of what qualifies as science to do an end run around the claims of paleontology, geology, and cosmology. For our rebuttal of this claim, please see rsr.org/forensics for our article and program titled, Historical & Observational Science Equally Good. - The Second Law of Thermodynamics began at the fall. This claim, popularized by the father of the modern creation movement, the beloved Henry Morris, is biblically and scientifically indefensible. See rsr.org/entropy. - When did unknown mechanisms become scientific concepts? This is an overtly unjustified criticism of a theory. For example, gravity itself works by an unknown mechanism. - The plant kingdom is not a kingdom life. This is false. Before the fall, there was no death of nephesh life, that is, of any creatures that possessed a soul. But there appears to be no valid moral or theological objection to a virtually infinite destruction of organisms that have no capacity for suffering, including microbes, insects, fungi, etc. - When did unobservable processes become scientific concepts? This is an obviously unjustified objection to a theory. Consider for example Einstein's thought experiments and other examples at rsr.org/math. - With the exception of the arguments that by our judgment we SHOULD USE, listed just below, leading creation groups have otherwise fine lists of arguments to avoid (like that Darwin recanted, he didn't; that Laminin is a symbol, it isn't; that women have an extra rib, they don't), in articles here and here. - And of course, from above: The fountains of the great deep were volcanic fountains of magma. (See just above.) Thankfully, ordinary creationists haven't begun using that argument, and with God's help, we all can keep it that way! Please pray that the truth prevails among creationists on this matter! - Minimal dust on the moon indicates a young moon (see rsr.org/moon#dust). * Crossover Depth Homeschool Science Experiment: For children, from Ellen McHenry's Hydroplate Theory for Kids, check out this Crossover Depth demonstration.